High-density polyethylene (HDPE) or polyethylene high-density (PEHD) is a polyethylene thermoplastic made from petroleum. Known for its large strength to density ratio, HDPE is commonly used in the production of plastic bottles, corrosion-resistant piping, Geo membranes, and plastic lumber. PE is made in 2 main types: HDPE and LDPE. It is a polyolefine. LDPE is usually a soft plastic type. 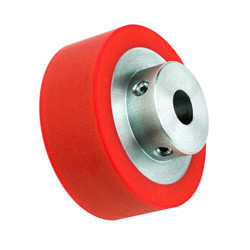 It is tough, though not very strong and has a reasonable impact resistance. Making PE stronger with glass fiber is not usual practice. PE has excellent isolation properties, making it suitable for electrical isolation. ITS SHINNY COTTON FABRIC WITH SPECIAL FEEL FOR EVERY OCCASSION. LDPE, HDPE, Poly propelene, Poly styrene, PVC etc. APPEARANCE : Free flowing 100% Natural Pellets. We are leading maker of High Density Polyethylene that is design and develop as per the clients specific requirements. The membranes are designed using thin and impervious sheets of polymeric material used primarily in linings & coverings of storage facilities of solid & liquid products. HDPE - High Density Polyethylene has greater strength and higher tensile properties. It is the primary polyethylene used for milk, food and detergent containers which are recycled and used in Landscape Forms’ Polysite® seat boards. Natty Team Group of Companies will introduce HDPE products as its maiden core product. 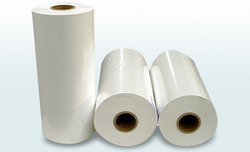 Excellent Strength for Carrier Bags & Counter Bags High Gloss, Paper like film for line rand over wrap. An additive to plastisol inks which raises the print off the garment, creating a 3D feel.